The IPAF operator dual category training course is to provide anyone who supervises, manages or uses powered access with an understanding of the need for safe operational procedures, the prevention of accidents, emergency descent operations and the employees and employers responsibilities, when using cherry pickers, scissor lifts, aerial work platforms and trailer mounted booms. 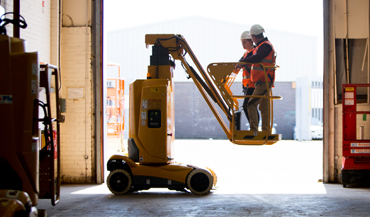 IPAF (The International Powered Access Federation) is the industry recognised body and authority for Mobile Elevated Work Platforms (MEWPS) and powered access equipment. This includes cherry pickers, scissor lifts, push around verticals (PAVs) and or access platforms. At the end of the IPAF category 3a training theory session, you will take a short theory test which, if you pass, will allow you to take the practical session in the afternoon. A practical assessment will follow, which, after successful completion will entitle you to an IPAF PAL card valid for five years. 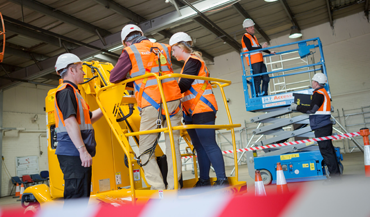 Personnel who will be responsible for the safe use of powered access platforms, scissor lifts, booms and/or cherry pickers should attend the IPAF dual training course. Category 3a (Scissor Lifts only) and 3b (Boom or Cherry picker lifts only) are recommended for single use categories. No formal qualification or experience is necessary, but it would be beneficial if delegates had a basic understanding of working at height regulations and health and safety at work act 1974. IPAF – International Powered Access Federation. IPAF (International Powered Access Federation) is a non profit organisation dedicated to promoting the safe and effective use of powered access worldwide. IPAF’s PAL Card (Powered Access License) is the proof provided to all persons who successfully complete training and testing on an IPAF machine-based course. How do I a category to my IPAF Card? If operators want to add a category to their PAL Card, they need to successfully complete the IPAF approved Theory Test Paper. In addition to this, they must achieve the required standard when operating each of the machine categories that they wish to add on to their PAL Card. Can IPAF training be done on site? Who keeps the card + certificate? IPAF suggests that the operator should have the issued card on his/her person at all times when working with MEWPs and the employer should keep the certificate. Can candidates who have never used a MEWP participate in the operator course? Yes, however, this may affect the length of the course and/or the candidates’ likelihood of passing.